The producers have been able to locate the original audience-recorded tape. Using 24bit audio transfer they achieved an optimum sound of this recording. We think that with our 6th release we can bring you the best sounding disc so far. Although Elvis was clearly not in the best shape regarding his physical appearance his voice was strong and powerful as always. “Never Been To Spain” which unfortunately was only intoned or the performance of “You Gave Me A Mountain”, “Little Sister” and “My Way” prove that his spirit and feeling for many of his songs was still there. The funny moment when Felton Jarvis was on stage during “If You Love Me” is pictured in the 20-pages booklet which is loaded with shots from the actual concert (we actually had a total of 150 great photos to choose from). We also included a scan of the ticket stub, a newspaper announcement for the concert and 2 different show reviews. All in all you will get a nearly perfect overview of what Elvis was able to deliver to his audience on May 24th, 1977. 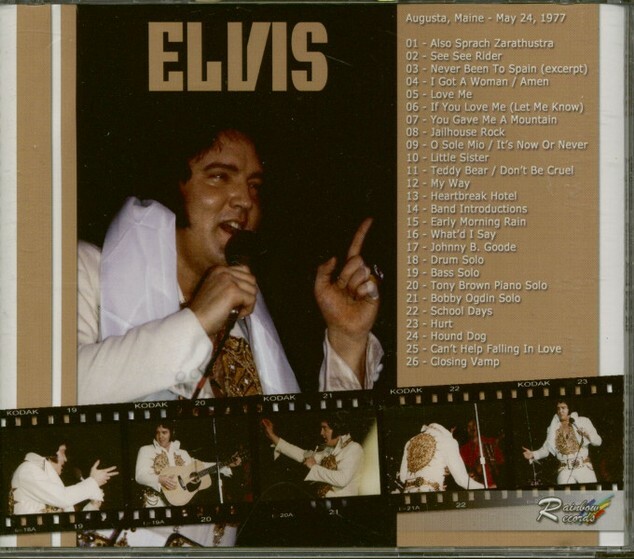 For Augusta the “Elvis Presley Show” was a once in a lifetime experience. 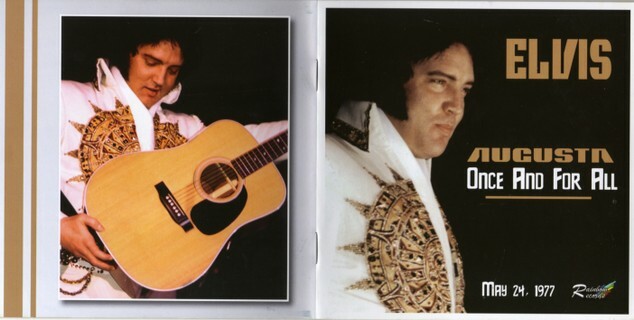 We hope that this CD will be – at least - a proof that “Elvis 77” was still pleasing his audiences.